When starting and growing a business, staying in the right frame of mind is vital to your success. Let there be no doubt that living your dream requires effort that you'll sometimes have to pull out of nowhere. Your attitude will constantly adjust between creative thinking and serious self-doubt. When you become your own boss, you wear many hats and perform many tasks - some of which will be frustrating and will require patience as you learn how to run your business. In order to stay focused, you'll need to set your determination on overdrive, learn to be flexible and find the strength to remain steadfast to see your dream of being a business owner come to life. Here are seven habits to nurture a small business state of mind. Goal setting is another way you can push yourself forward, but remember the quality of your goals must be high. Do not settle for simply setting goals with no follow through. If you want to, for example, set the goal of finding a mentor, ask yourself: what does it take to accomplish that objective? Break it down into tasks like "reach out to 2 potential mentors each month" or "attend 3 networking events each month" so that you break down that goal into manageable activities. If you've ever attended a networking event and met people who promised to call you about a potential partnership, then never did, you see the lost opportunity of not following through. Think of following through as grabbing an opportunity. You never know which one of your efforts will succeed, so following through is just another way of being proactive. Take care of things as soon as possible -- call people back, say thank you, reach out to colleagues, send the letter, et cetera. as soon as possible. Having a positive attitude is not about pie-in-the-sky promises or a maintaining a Pollyanna-ish attitude. It is about seeing things in perspective and framing things in a positive light. Rather than asking yourself "What can I do to avoid this situation," ask yourself "What can I do to correct this situation?" The right attitude embraces challenges, always looking for the lesson buried in the difficulties. Entrepreneurs embrace their uniqueness. As children, we tended to want to blend in rather than be blatantly different. However, now I suggest that you embrace what makes you unique. When you celebrate that which makes you and your company distinct, you stand out from the crowd and differentiate from your competitors. Learn from failure and move on. Disappointments can be difficult, but they are also great opportunities to learn. Instead of being ashamed of the mishaps and blunders you've made, seek the lesson you can learn from your mistakes. By learning from your defeats, you grow stronger. Each one of those experiences helped shape you as an individual, so look for the deeper meaning. The quickest way to stagnation is to reject new modes of thinking. Entrepreneurs are defined by their ability to embrace new technology, new theories and new practices. The entrepreneurial mindset is fed by that unending appetite for new learning and it will help you expand your skills and grow your business. Yes, you have a lot you need to accomplish to reach the top of that mountain, but patience and perseverance define successful entrepreneurs. You need to pace yourself as you climb to financial and business success. Pushing yourself is an admirable quality, but ultimately it is unsustainable. It is healthy to prepare for those times when you'll need to work demanding hours, but don't define yourself by your ability to do that and only that, or you'll soon burn out. In order to succeed in business, the most effective moguls work to safeguard their mindset, as they would use diet and exercise to stay physically fit. Follow through with these seven habits and you will accomplish your goal of becoming your own boss. 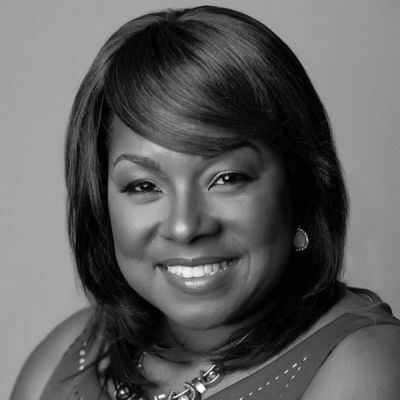 Melinda F. Emerson, SmallBizLady is America's #1 small business expert. She is an author, speaker and small business coach whose areas of expertise include small business start-up, business development and social media marketing. She writes a weekly column for the New York Times, publishes a resource blog, www.succeedasyourownboss.com which is syndicated through The Huffington Post. She also hosts a weekly talk show on Twitter called #SmallBizChat for small business owners. As a brand, she reaches 1.5 million entrepreneurs a week on the internet. As CEO of Quintessence Multimedia, Melinda develops audio, video and written content to fulfill her mission to end small business failure. Forbes Magazine named Melinda Emerson one of the #1 Woman for Entrepreneurs to follow on Twitter. Melinda has been featured on MSNBC, Fox News, NBC Nightly News and in Fortune, The Washington Post, USA Today, Wall Street Journal and Black Enterprise. She is the bestselling author of "Become Your Own Boss in 12 months; A Month-by-Month Guide to a Business That Works," and the ebook How to Become a Social Media Ninja; 101 Ways to Dominate Your Competition Online.